An open courtyard whit a purpose-built gallery for its world-class temporary exhibitions is the project of Amanda Levete studio for the new entrance of Victoria and Albert Museum. This choice of material responds specifically to the structure of the original building of the museum and its collections, including numerous striking examples of 19th-century decorated ceramics. Therefore, ceramic was selected for the courtyard floor for its fine texture, its bright white color and its inherent strength. 30 different models partly glazed in 10 shades from blue to green were designed in more than 100 versions. It took two years, working closely with Koninklijke Tichelaar company, to finalize the tile design and to develop a clay recipe that ensured non-slip performance. Besides, it took another two years to pass the required British Standards, to test tile longevity and to manufacture, by hand, the 14,500 tiles. Each tile bears the mark of the craftsman through subtle variations of shape and shade. 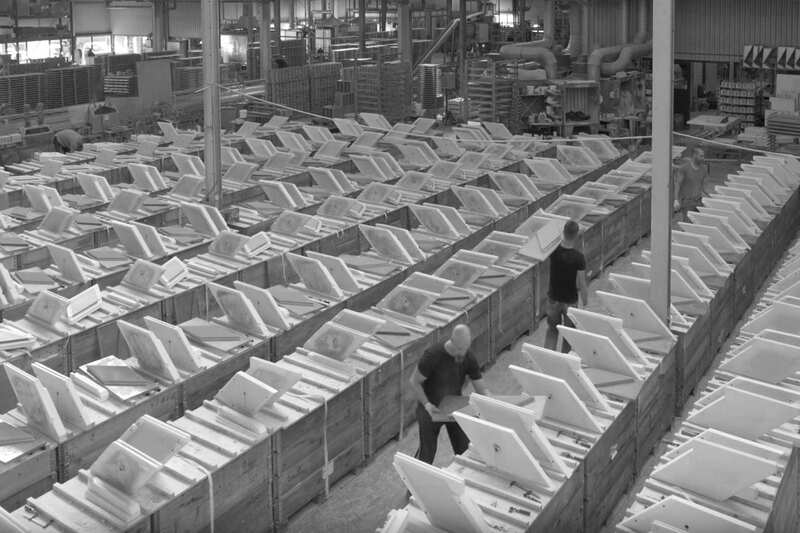 Watch this video to see how these tiles were made.